Caption slip reads: "Photographer: Snow. Date: 08-17. Assignment: Practice fire. 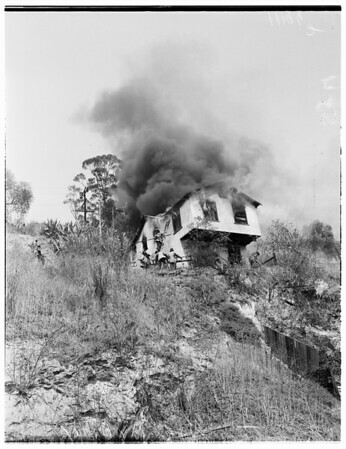 House which was set afire by training division of LAFD on Lilac Terrace in Chavez Ravine".